With a stay at Hotel Madrid Gran Vía 25, managed by Meliá in Madrid (Centro), you'll be steps from Gran Via Street and Puerta del Sol. 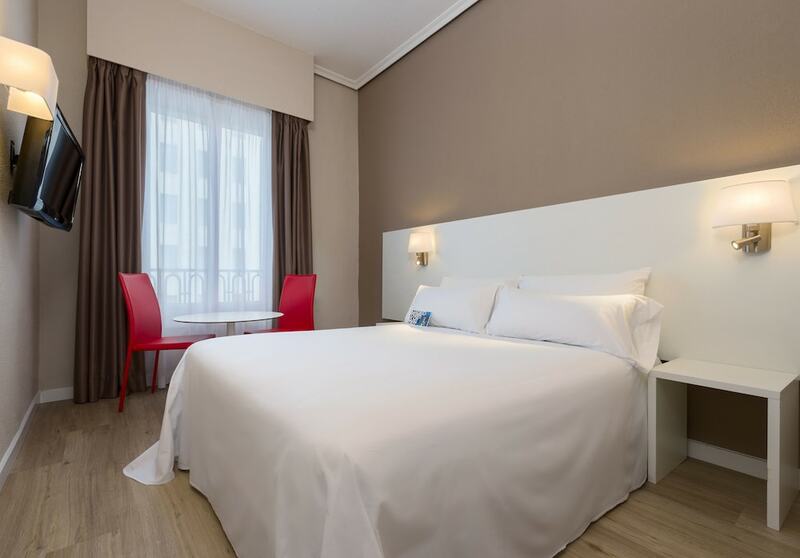 This hotel is 0.2 mi (0.4 km) from Puerta del Sol and 0.5 mi (0.9 km) from Plaza Mayor. Make yourself at home in one of the 175 air-conditioned rooms featuring LCD televisions. Complimentary wireless Internet access keeps you connected, and satellite programming is available for your entertainment. Private bathrooms with bathtubs or showers feature bidets and hair dryers. Conveniences include phones, as well as safes and desks. This smoke-free hotel offers discounted parking nearby. Take advantage of the hotel's room service (during limited hours). Buffet breakfasts are served on weekdays from 7 AM to 11 AM and on weekends from 7:30 AM to 11 AM for a fee. Featured amenities include complimentary newspapers in the lobby, dry cleaning/laundry services, and a 24-hour front desk. Planning an event in Madrid? This hotel has 1206 square feet (112 square meters) of space consisting of conference space and a meeting room.